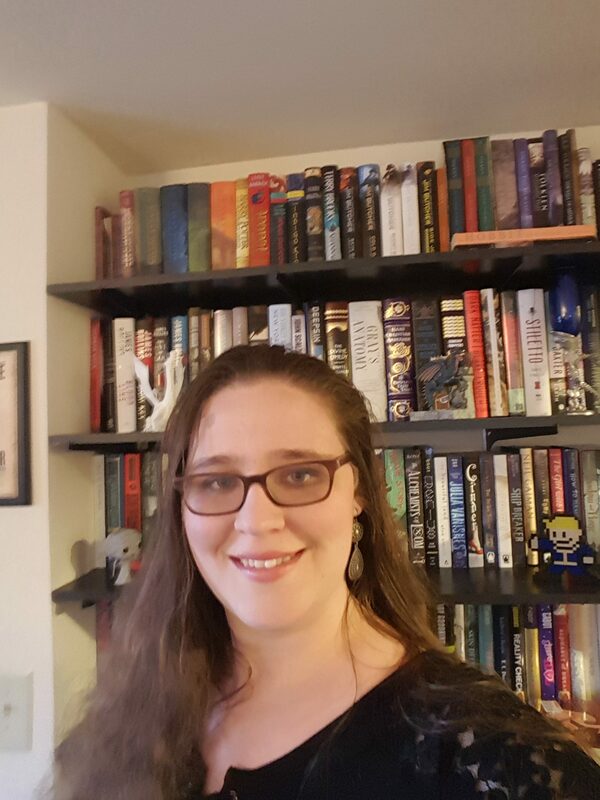 Gemina is the sequel to Illuminae, and the second book in The Illuminae Files series. Like its predecessor, Gemina is told through alternative formatting – diary entries, emails, instant messages, security camera footage, and more. This book also has some great art by Marie Lu, author of series such as Legend and The Young Elites.There are a few sections where, like the first, I did find it a little difficult to read, though for different reasons. A couple of sections had a black background with white and gray text. While it looked beautiful, I did find those parts in particular a bit difficult to actually read. The gray text on black background just seemed to mush together. Of course, this was just my experience. The non-glasses-wearing folks out there may have a much easier time of it. Even so, the formatting is perfect for the story being told. The story takes place on Jump Station Heimdall at the same time as during the course of events in Illuminae. The characters from Illuminae, those who survived at any rate, do make appearances within this book, more so in the latter half as these stories are taking place more or less simultaneously. Jump Station Heimdall, for those who may not remember, was the jump station the ships Alexander and Hypatia were attempting to reach during the first book. Of course, things are never easy. The station gets taken over by an elite group of military personnel working for BeiTec. Things go from bad to worse very quickly, and it’s up to Hanna and Nik to secure the station. It was hard enough when they only needed to worry about the lives of everyone living and working on the jump station and a bunch of terrorists. But the Hypatia is approaching with a bunch of refugees and these soldiers don’t seem to know nearly enough, or maybe care enough, about the wormhole used by ships to jump from one location to another. You’d think they’d be more conscious about trying to, you know, not rip a hole in the space-time continuum. The majority of the book takes place during Hanna and Nik’s struggle to regain the station. This is an intense, but realistic fight. Well, as realistic as a fight aboard a space station wrapped around a wormhole can be. We see Hanna and Nik not only fighting against the enemy and time, but things not always touched upon in similar high-octane, thriller-esque situations. Sleeping, food, and using the bathroom all pose issues for both the protagonists and their enemies. Scenes centering around these mundane activities now turned massive obstacles make the story much more realistic, and were, at times, quite funny. In this book, we follow two new main characters, Nik and Hanna. Nik was born into a notorious crime family. Hanna is the daughter of the captain in charge of Jump Station Heimdall. At times, Hanna reminded me a lot of Kady, the female protagonist of the first book. And, interestingly, this is something actually commented on by one of the characters in the novel. Hanna is by no means a copy of Kady, however, and I grew to really like her character as the story went on. And Nik? I love Nik. I almost always do love characters like Nik. 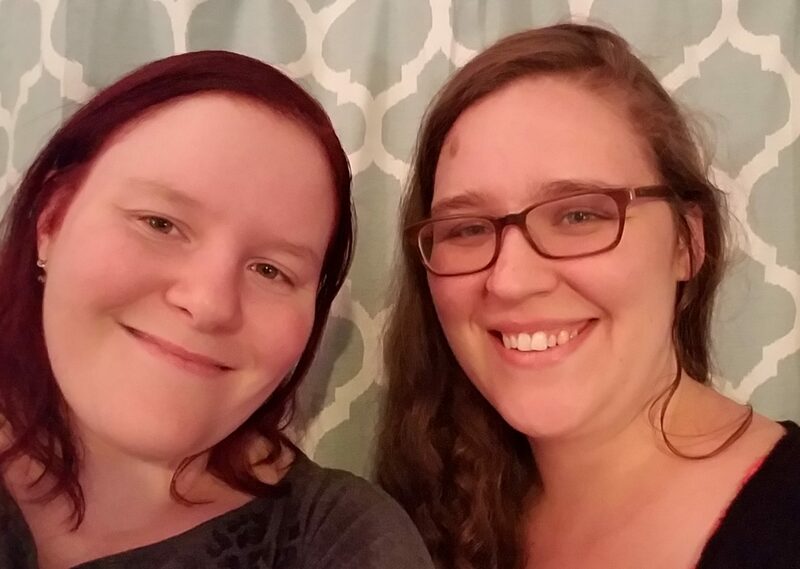 Nik’s cousin, Ella, coder extraordinaire, also plays a major role in this novel. I also enjoyed the sub-plot with the creatures Nik’s family had gathered. This too, I felt, gave the book a more realistic tone. The same chroniclers from the first book have returned for this one. Surveillance footage is still transcribed by Analyst ID 7213-0089-DN. The briefing notes also seem to be written by the same person as in Illuminae. And, yes, as stated before all those who survived Illuminae make brief appearances. This cast is large. Very large, but not completely unwieldly. Kaufman and Kristoff seem to know this as well, providing nifty little spreads every so often of the BeiTec infiltration team with pictures and names which were very helpful. I wish I’d paid closer attention to the briefing notes when reading the first book. These are tiny little blurbs ‘attached’ to the top corner of some pages, usually at the beginning of a new section. It’s easy to glance over these as they are small, a little out of the way, and not very long. But wow some of them amazing. This is definitely a series where you want to pay attention to the details, which can be hard when you just want to charge ahead to find out what happens next. But, if you want to get the most out of this book (and Illuminae), don’t skip things, no matter how small or short they may seem. I definitely recommend reading Gemina by Amie Kaufmann and Jay Kristoff. As a whole, I honestly enjoyed it more than Illuminae. In part, this is because I like Hanna as a character more than Kady. This is a fantastic sequel to a great book and one definitely worth a read. 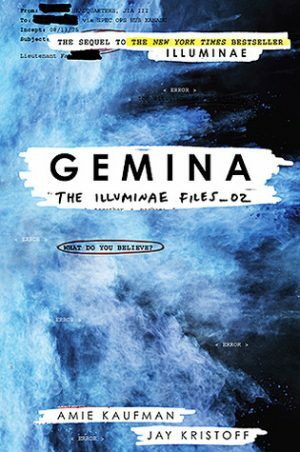 If you enjoyed Illuminae, or like thrillers and young adult novels you will like Gemina.